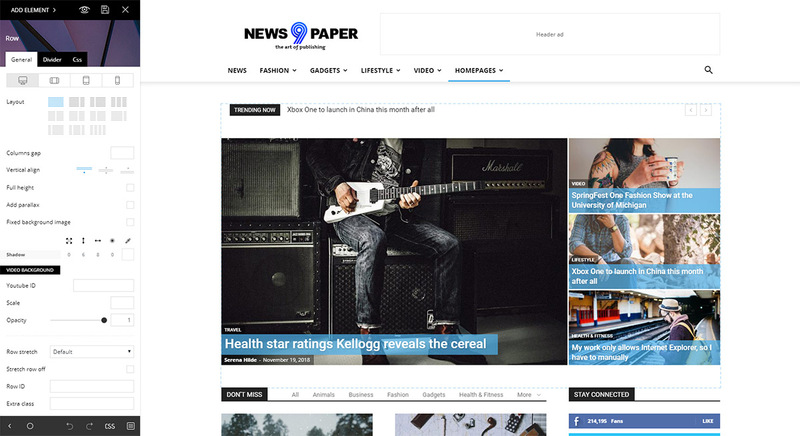 The tagDiv Composer is Newspaper Theme’s front-end page builder that lets you design and edit the page through its drag-and-drop functionality. Each module, each element has its own settings and can be modified in a few clicks, no coding skills required. Find out more about its amazing features below. The tagDiv Composer automatically activates when updating to Newspaper 8 or installing the theme for the first time. Please do not edit a page with the tagDiv Composer if that page was originally built with another page builder. When you create pages or edit templates with our theme, you can use our custom-made page builder called the tagDiv Composer. This handcrafted page builder comes with the drag-and-drop functionality to facilitate ease of use. You can see the front-end preview of your page and the tagDiv Composer on the left of the screen. The builder has a top control section that offers the following options: Add Element, View Page, Save Changes, and the Close button. The title of the page can also be changed from this section by pressing the edit button next to the title. Let’s start with the Add Element button. Press the button, and a drop-down list of all the elements appears. You can add any of them to the homepage. Drag-and-drop any of these elements to create the layout you desire. However, you must first start with a row as the Composer works with rows and columns. You can add a row by dragging the row icon in the space on the page. By default, the first row is already on the page. If you click on the row of the page, a settings panel appears on the left side of the screen. This functionality applies to every content or structural element, not just rows. The row settings allow you to select the layout of the row meaning you can have a set number of columns in different styles. The row can be split in one of 6 possible column layouts so you can style your pages creatively. 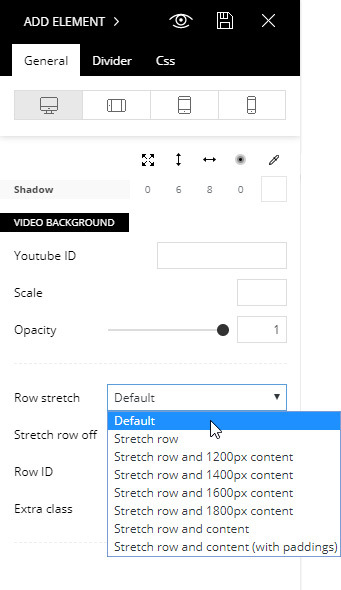 The General row settings also include a column gap, alignment, background, YouTube video background, opacity, and the stretch row option. The General tab also includes the viewport options which allow you to set options based on the user device. Use this to have separate settings for each device selected. 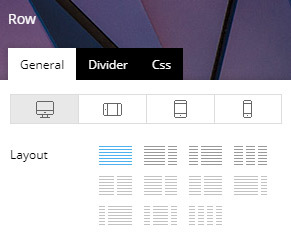 The second tab under the row settings allows you to place dividers between rows in unique styles. 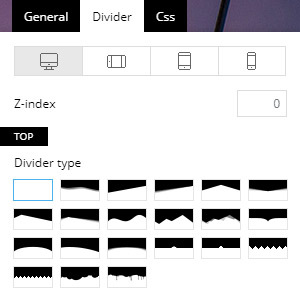 You can select the type of divider for the top or bottom of the row, and you can adjust their width, height, colors, shadows and so much more. 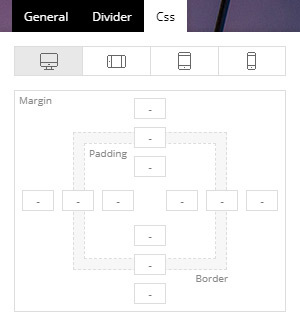 The CSS tab is an essential part of the page builder as it allows you to change the position of the row and adjust the margin, padding, and border for your rows. You can also set background images or colors, shadow, color overlay as well as hide a particular row for specific viewports. Use this to show or hide a specific element on a particular device. If you want to delete a row or element, you can grab it from the top left “Row” button. Then, drag it to the bottom right of the screen in the “Drag here to DELETE” box, or select the row and press the delete button on your keyboard. Moreover, with the help of the right-click menu, you have access to different commands for deleting elements, too. The row can also be structured in a sub-division called an inner row if you want to create a more complex structure of rows and columns for better control over your content. Block elements are the content elements you should use to present your content inside the rows. Once you add a block to the row/column of your choice, you can see the actual content rendered live. Changing its settings also changes the live representation of the page making it easier to see what every setting does. Deleting an element is similar to removing a row. Merely drag the element to the bottom right of the screen or just hit the delete icon found on the top right of the block element. Important note: Shortcodes and ads are not rendered in the live preview of the composer screen so, to see them applied to your page, you have to press the save button and view the page itself on the front-end. Sometimes you need to create a site that features just a presentation for your company that does not require multiple pages and different articles. You only need the one page where you can present your business objectively and to the point. The multi-purpose elements allow this kind of implementation with different sections of content you can style creatively. Step 2 – Set the page title, configure the page by editing it with the front-end tagDiv Composer. Add the desired elements and select the desired page template. Step 3 – Go to Settings -> Reading and set the newly created page as a homepage. A landing page is a standalone web page, created specifically for marketing. It’s where a visitor “lands” when they have clicked on an ad of your site for example. The theme allows you to create an entirely blank page without headers or footer in the way for this exact purpose. You can find the blank template in the page template section. With unlimited customization options, the tagDiv Composer is the first step towards easy designing and amazing layouts. Take it for a spin and create a page with it. Add elements, drag-and-drop, click on one to open its Settings Panel and modify each option to create the perfect block to display your fantastic content. Don’t stop there! 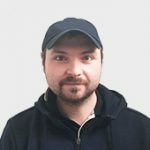 Hop on over to tagDiv Composer multi-purpose elements and find out more about how versatile our front-end page builder is. We purchased Newspaper 9 a while ago but have never used it. Q. 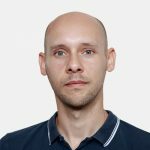 Can tagDiv enable us to modify NewsPaper 9 to have a “front page” as our website is now with using the Newspaper 9 as secondary pages for the blog entries? If you have more questions, or this is not what you wanted to know, please create a new topic in our forum – https://forum.tagdiv.com/forum/newspaper/ or send us an email at contact@tagdiv.com and we will gladly help you. everytime when i activate the tagdiv composer my website goes down, so i go to the files- plugins and i rename the directory (td-composer) in order to deactivate the plugin. The first thing to check is the theme requirements guide https://tagdiv.com/newspaper-theme-requirements/ Insufficient resources can cause such problems. If the problem remains we could take a look, send us an email at contact@tagdiv.com and provide admin login and cPanel if possible. Let us know. I purchased this a while ago but the problem is the TD composer icon doesn’t show up on my plugins sidebar?? I tried to deactivate the plugin and activate again, but I can’t find that icon? I want to edit my pages. If the composer is active the option to use it should appear in multiple places. First check if it’s active here for example https://www.screencast.com/t/Mszl5Bj9r6 Then it should appear in the all pages section https://www.screencast.com/t/KiAXEfMiaBP or in the page edit screen https://www.screencast.com/t/GnZHbJLZ or in the admin bar while viewing a page https://www.screencast.com/t/YJK2PGWYQ2R It won’t appear in the dashboard as a n option if that is what you mean. In case there is an actual problem, please send us an email at contact@tagdiv.com and provide admin login so we can investigate. Let us know.